The leader of Ontario's Green Party says Doug Ford’s latest "open for business" rules put the Greenbelt at risk. The leader of Ontario's Green Party says Doug Ford's new "open for business" rules put the Greenbelt at risk, although the provincial economic development minister says they won't. 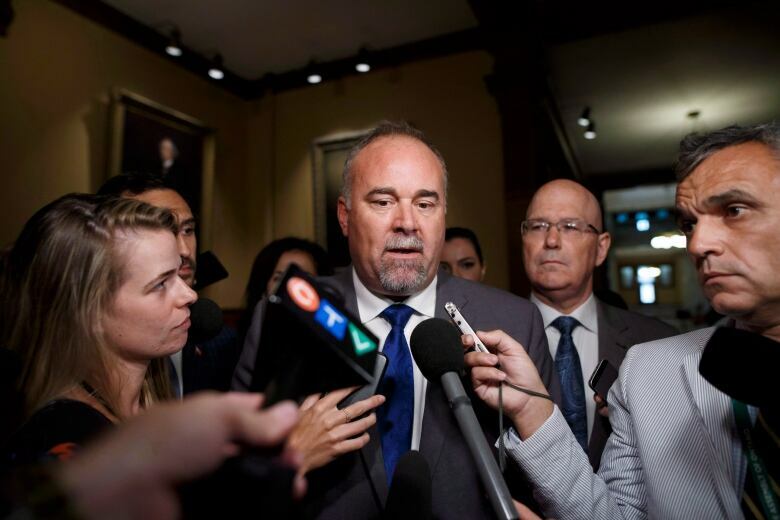 The Progressive Conservative government unveiled a new omnibus bill that deals with more than 30 regulations in a variety of sectors, including land development, on Thursday afternoon. 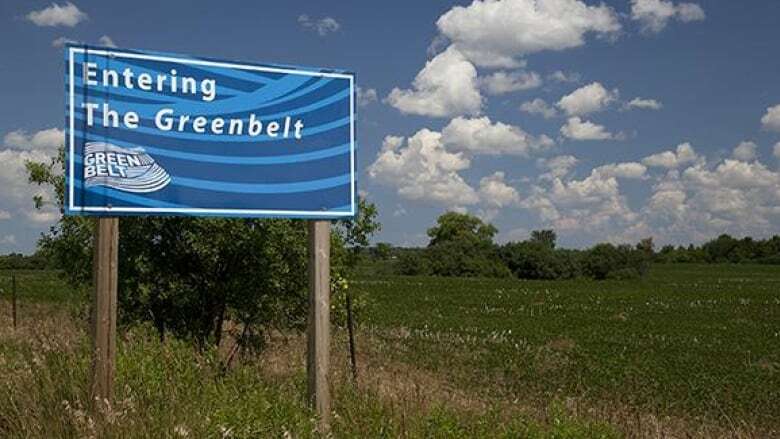 Mike Schreiner was quick to highlight serious concerns about what it will mean for the Greenbelt — a 7,200-square-kilometre swath of protected farmland, forest and watershed that surrounds the Golden Horseshoe. "Despite explicitly promising to leave the Greenbelt intact, the Ford government introduced a bill yesterday that opens the Greenbelt to development," he said in a news release. Schreiner warned the proposed legislation could also lead to developers pushing to set up business zones in previously off-limits spaces, like the Oak Ridges Moraine, or threaten waterways like the Great Lakes and Lake Simcoe. Schreiner said that amounts to the Ford government violating a "sacred trust." Economic Development Minister Todd Smith said the government will stand by its commitment to protect the Greenbelt. "We are clear on maintaining the boundaries that exist for the Greenbelt," he told reporters on Friday. Smith said his hope is the changes will create hundreds of thousands of jobs by opening up more industrial land. "We're talking other parts of Ontario," he said. During the spring election campaign, Ford flip-flopped on whether or not to maintain the Greenbelt as is. First, Ford suggested developing part of the land could help ease the GTA's housing affordability crisis. After that comment was met with sharp backlash from his political rivals and environmentalists, Ford vowed to "maintain the Greenbelt in its entirety." Ford, who is meeting with the prime minister and other premiers in Montreal on Friday, has not commented on what the proposed legislation would mean for the Greenbelt, but tweeted the goal is to: "cut costs" for business and "reduce investment barriers." The government tabled the bill on Thursday just as the legislature rose for its winter break, which means it won't be debated until politicians return in mid-February. John Rieti is the senior producer of digital at CBC Toronto. Born and raised in Newfoundland, John has worked in CBC newsrooms across the country. In Toronto, he's covered everything from the Blue Jays to Toronto city hall. Outside of work, catch him cycling in search of the city's best coffee.